"Merkava 3" is the IDF pride: it's the best battle tank in today's combat, a great Israeli invention. 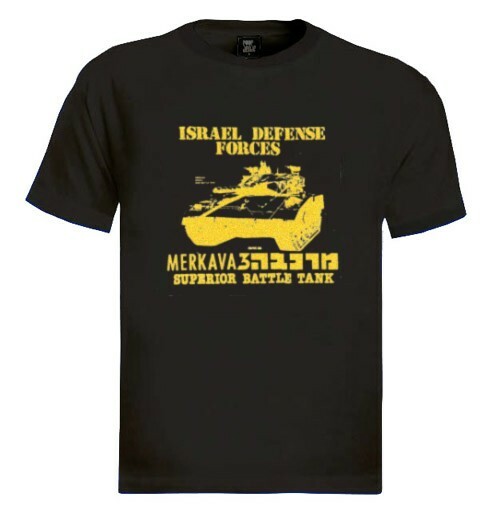 This high-quality T-Shirt is printed with a huge Merkava tank, and the following text: Israel Defense Forces, Merkava 3 Superior Battle Tank. 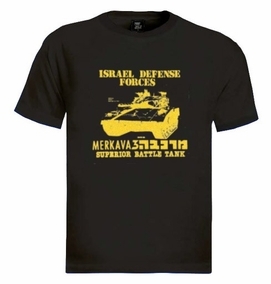 Also written in Hebrew "Merkava 3" Our t-shirts are made of 100% cotton and are long lasting with bright colors. Our products are all designed and printed in Israel.